Whenever you are looking for manpower consultancy in India,manpower consultancy in Mumbai,manpower consultancy in Pune, Oil & Gas Recruitment in India, Recruitment Agency in Chennai, Recruitment Agency in Mumbai, Recruitment Agency in Pune, Recruitment Agency in India, Recruitment consultancy in Mumbai, recruitment consultants in Pune, Workers Recruitment in India, Engineers Recruitment in India , first step is to make your CV, float on portals and submit to recruitment agencies which are prominent and have good market reputation. 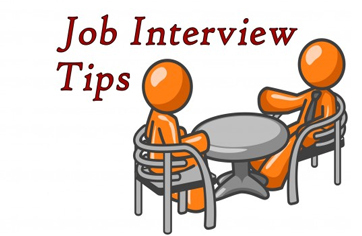 Next step is to prepare for face to face interviews for jobs and following tips may be found useful for this purpose. Wear formal dress clean and ironed. Be calm and maintain your composure, this will help to create an impression about yourself. Why did you change last job / any previous job? If you are asked about your present salary details, give correct information. You will have to submit supporting documents if you are offered and agree to join. Always carry last three months salary slips with you during the interview; however do not submit unless asked for. Carry with you all documents/ certificates of award, increments and appreciation letters etc. received from your current and past employers. These can be displayed during the interview at an appropriate time when asked for. For an interview for the overseas position, carry your passport with you. This is required for verification of your visa and emigration status. Do not submit the passport to any unauthorized person unless you are sure about the credibility of the agency and employer.